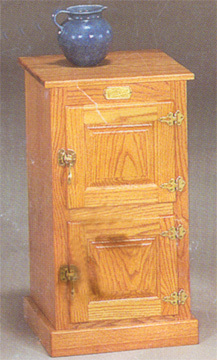 This beautiful solid-oak cabinet/stand features 2 seperate compartments, brass plated hinges and features the “White Clad” logo. A perfect addition to any room in your home, especially if you also have the “White Clad” theme going in your kitchen or living room! Put a set of them next to your bed, with brass lamps on top, and they would make great nightstands.